Spring is the third book in a series illustrated by Petra Börner, published by The Folio Society in celebration of our four seasons. Responding to words edited by Sue Bradbury, illustrated themes of spring accompany the poems throughout the pages. 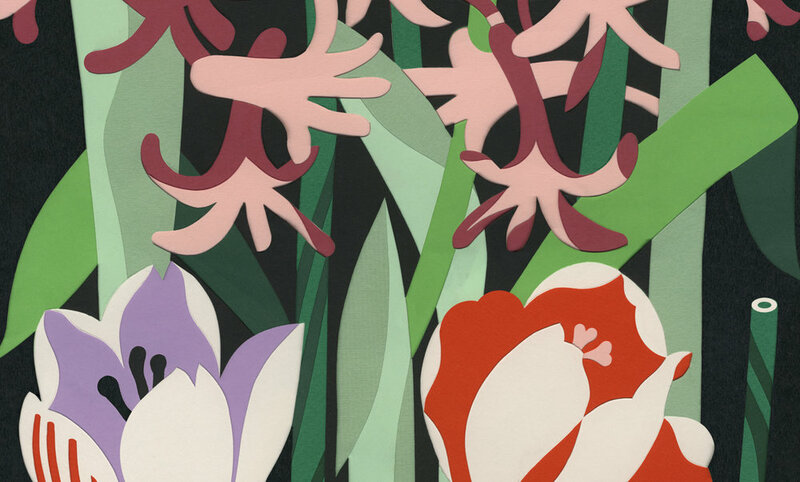 Bright blocks of crocuses and tulips feature on the cover, the artwork created in Petra's bold signature style then capture the burst of energy of the spring season in a fresh, palette of greens inside the pages.